The Eyeball Beacons present: Who’s Watching Too?!? Best viewing from the Science Center Quad! Fair weather only (the eye doesn’t like rain or snow). 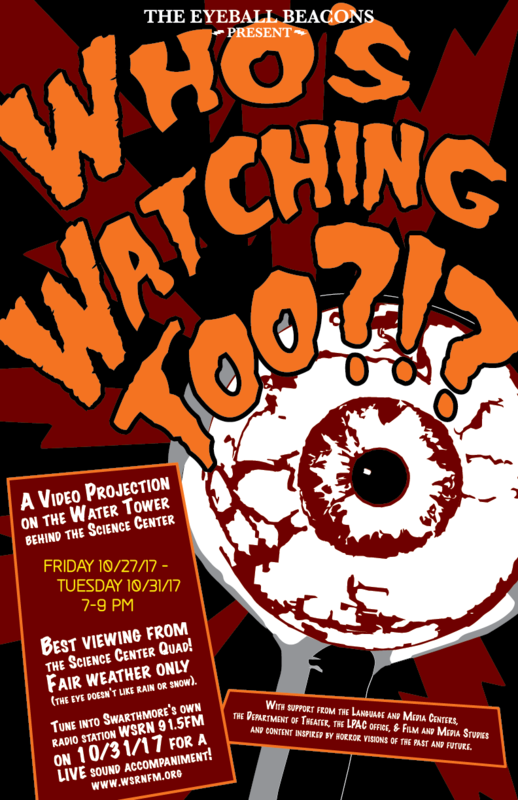 With support from the Language and Media Centers, the Department of Theater, the LPAC office, & Film and Media Studies and content inspired by horror visions of the past and future.